They take various light conditions but not direct sunlight or deep shade. Since they only need to be watered once a month, it makes a wonderful plant for those individuals who sometimes forget to water their plants. They are very tolerant of under watering, but will succumb quickly to rotting if overwatered. 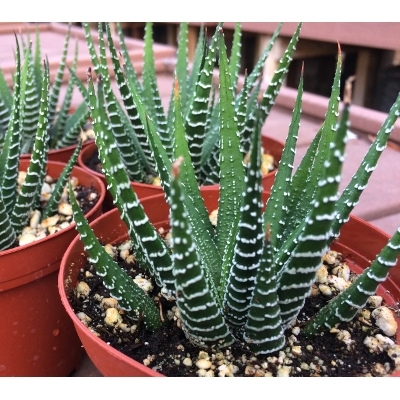 Feed your Haworthia only occasionally and when you do, ensure it's a weak solution.